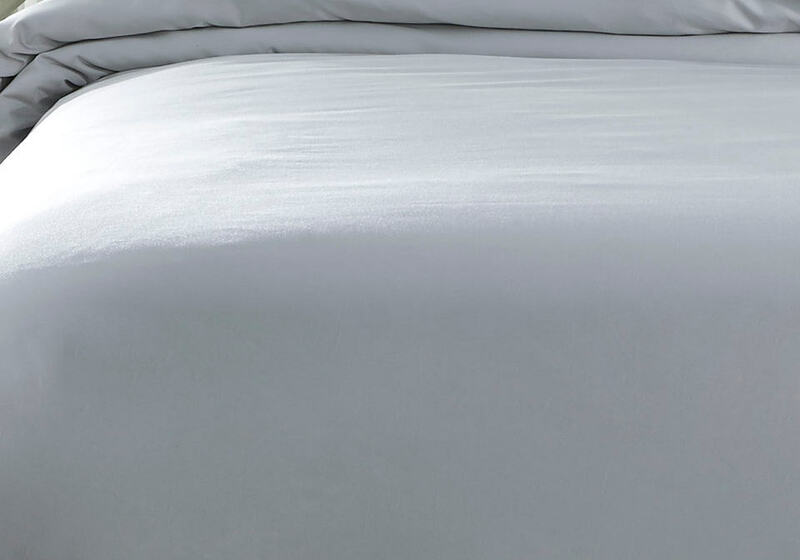 The Chamness set is a contemporary duvet in a soft 400 TC cotten sateen trimed with a fine double flange solid. 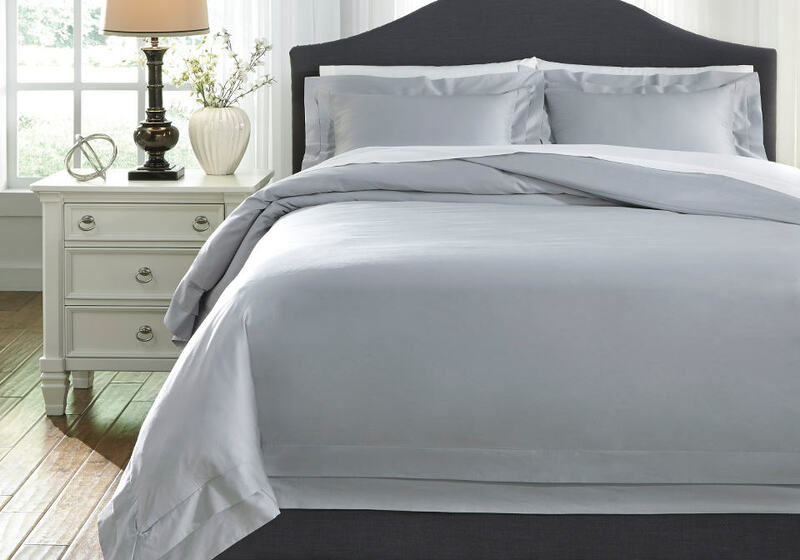 3-Piece Duvet Cover Set – Includes Duvet Cover (Insert not Included) and 2 Shams. Double Flange Solid in Gray. 400 TC. Cotton Sateen. Machine Washable.